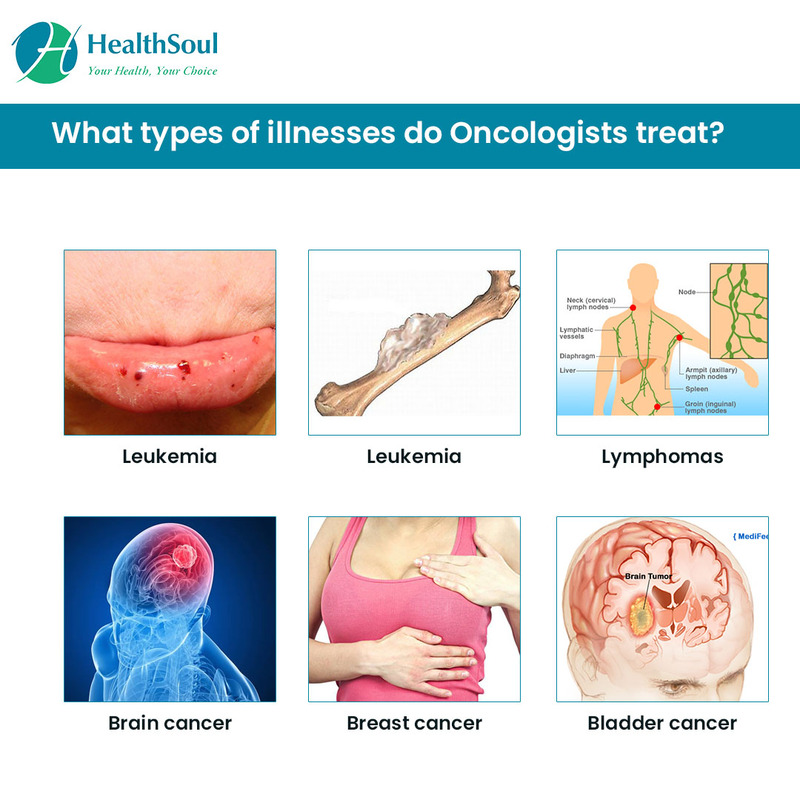 Learn About Oncologists: Conditions They Treat and When to see one? 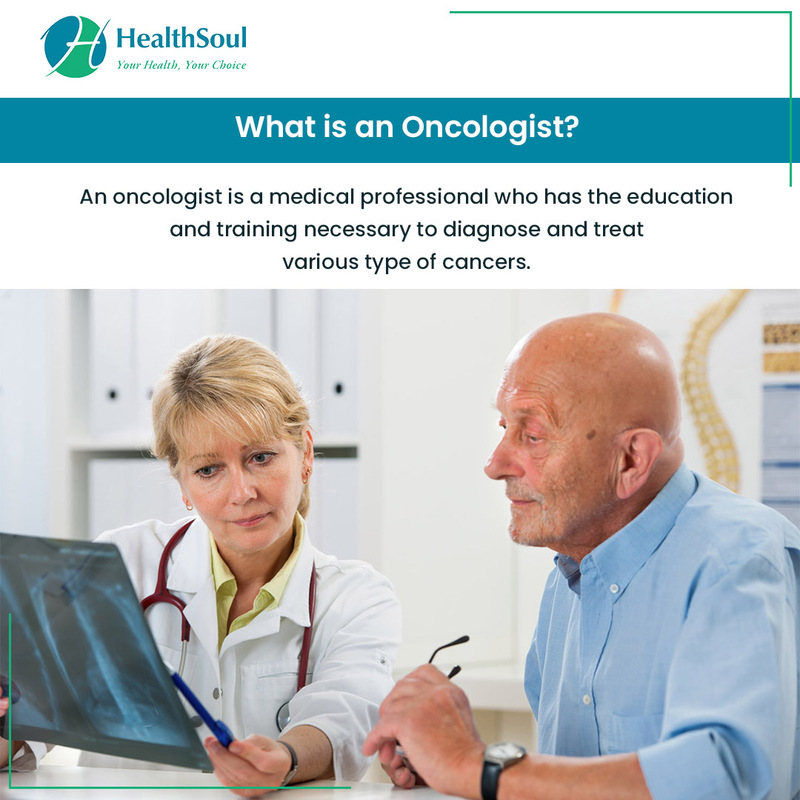 An oncologist is a medical professional who has the education and training necessary to diagnose and treat various type of cancers. Oncologists practice in hospitals and medical centers, university hospitals, and research organizations. In addition to diagnosing and treating tumors and cancer, they conduct research to learn more about cancer and how it acts in the body to help develop new treatment options. How does a doctor become an Oncologist? To become an oncologist, a person must complete an accredited undergraduate program and then attend medical school for at least four years. After completing medical school, they must complete specialty training in oncology and attend a residency program. During the residency, they doctor will gain experience in oncology while learning from an experienced oncologist. To become a certified oncologist, the doctor must pass an exam given by the American Board of Internal Medicine. What types of illnesses do Oncologists treat? What are the diagnostic tests and procedures ordered by an Oncologist? How do Oncologists treat cancer? Learn About Neurosurgeons: Conditions They Treat and When to see one? Learn About Pain Management Specialists: How They Treat and When to see one? Learn about a General Surgeon: Diseases They Treat and When to See One? Learn About Ayurveda Doctors: Conditions They Treat and When to see one? Learn About Psychiatrists: Conditions They Treat and When to see one? Learn About Physical Therapists: Conditions They Treat and When to see one? Learn About Anesthesiologists: Conditions They Treat and When to see one? Learn About Radiologists: Conditions They Diagnose and When to see one? Learn About Cardiac Surgeons: Conditions They Treat and When to see one? Learn About ENT: Diseases They Treat and When to see one? Learn About Vascular Surgeons: Diseases They Treat and When to see one? Learn About Plastic Surgeons: Procedures They perform and When to see one? Learn About Podiatrists: Conditions They Treat and When to see one? Learn About Orthopedicians: Diseases they Treat and When to see one? Learn About Ophthalmologists: Conditions They Treat and When to see one? Learn About Neurologists: Conditions They Treat and When to see one? Learn About Gynecologists: Conditions They Treat and When to see one? Learn About Gastroenterologists: Conditions They Treat and When to see one? Learn About Infectious Disease Specialists: Conditions They Treat and When to see one? Learn About Endocrinologists: Diseases they Treat and When to see one? Learn About Acupuncturists: Conditions They Treat and When to see one? Learn About Colorectal Surgeons: Diseases They Treat and When to see one?